Chhota Kashmir means “small (or mini) Kashmir”. Simply put the person who named it looks inspired from the crowning glory state of natural beauty, Kashmir, the heaven on Earth. Looks like a complete trap to me, but why be judgmental. Located in the vicinity of Aarey Milk colony, Goregaon in northern region of Mumbai city, it sits in the vast expanse of a 4000 acre lush green space. 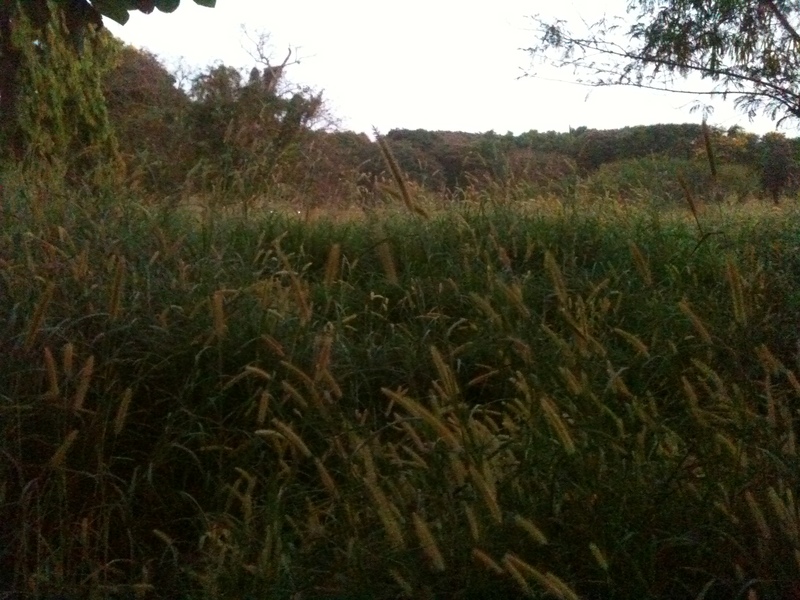 Immediately after you enter into the Aarey space you will feel the best sensuous trigger-a tingling temperature drop. The roads are narrow and due for maintenance. Abutting these roads are some fields on either sides but not sure what grows in them, maybe just grass or weeds. Random shanties in those fields with their blue tarpaulin seem to be slowly and silent capturing the scene. I am told that there was a time when schools used to take kids on educational excursion to the Aarey milk factory and the garden closeby. Our destination is this garden, the so called mini Kashmir which is on a small hill top. There’s of course the lake which is sort of ok. The google map indicates it to be a considerable size at least couple of acres. 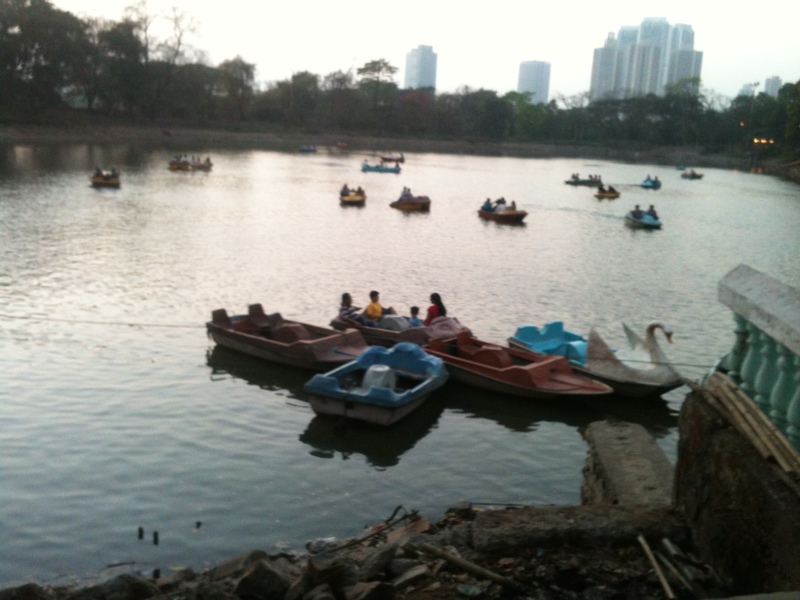 You can go on a boat ride, only if you have company as these are self rowing ones. 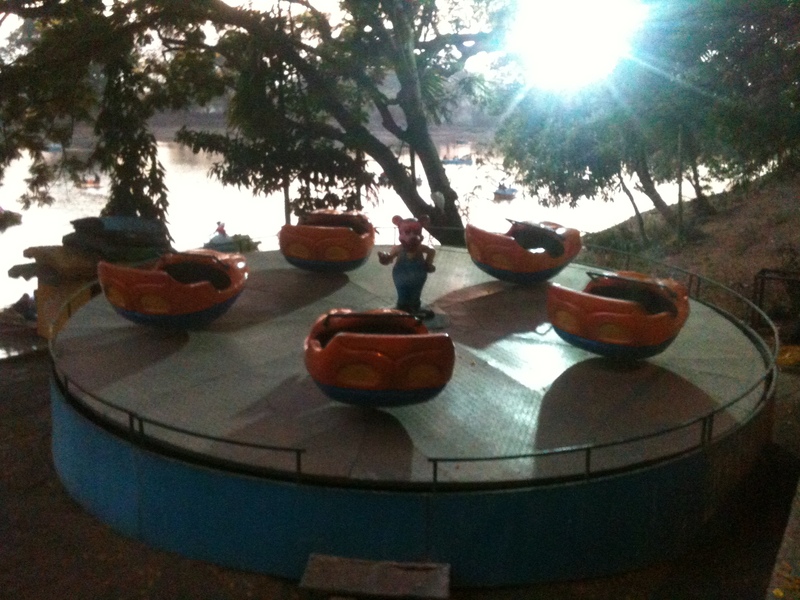 There are also these joy rides- things that whirls on its own axis and around. 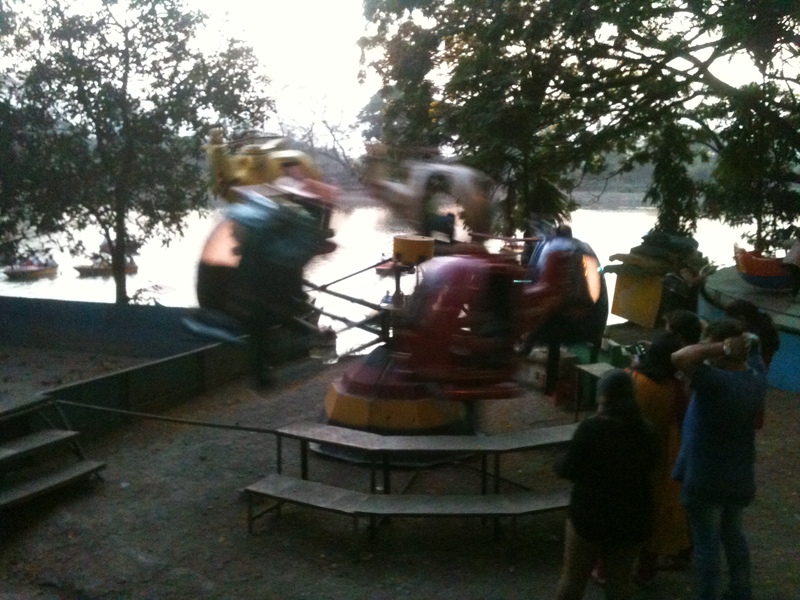 Toy train and merry go round, all the usual stuff. Young boys are looking at you eagerly to buy tickets for these rides. 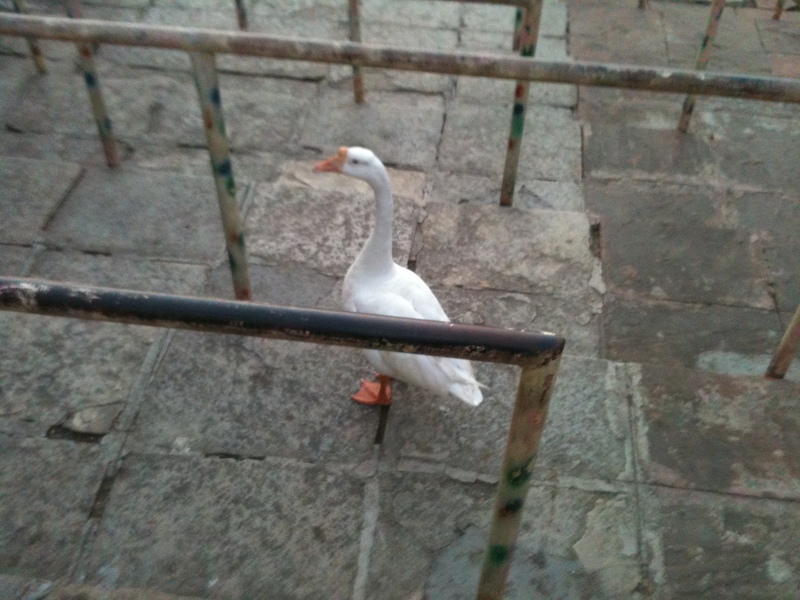 We also find an enthusiastic goose, quite well mannered in the queue. Towards the hill top, people have parked just anyhow on either sides, maybe quite reasonably so as the garden closes at 6 pm. The garden itself is a complete downer. The landscape is not attractive. Its full of trees and lush greens but no character. There’s an avenue of sorts with huge tall cactii which have become as large as trees, must be several years old. There are these random meanderings with stone paths which lead no where. I spot couple of gazebos with benches in them but they look rather ruinous to me. I try to find a calm place to sit and gaze into the sky but immediately feel uncomfortable in the company of couples who form silhouettes in every nook and corner. I am not at ease and walk hurriedly through the garden space as if on some kind of surveillance. I observe that the whole place is dotted with plastic, packets and disposable water bottles. There are also toilets in this garden which is rather rare, but a word of caution before entering or you might just convulse due to the stench. Walking out I try to find a complaint book of sorts but there isn’t any. I talk to the security guy at the gate, but it sounded preachy. All in vain. I think about this person who named this garden. Someone so completely delusional?